Tubuai is a small island in the Austral Island Group of French Polynesia, about 600km south of Tahiti. The volcanic island is surrounded by a lagoon and a nearly continuous reef. 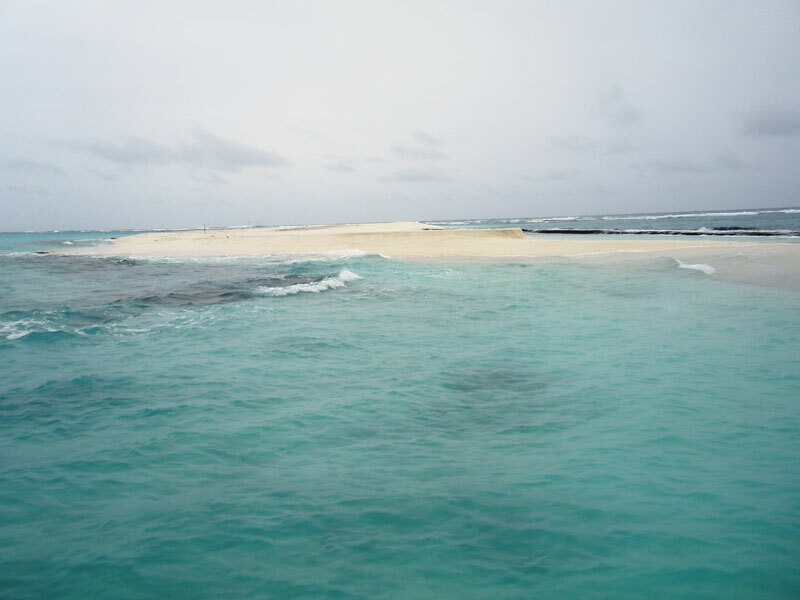 On the reef flat there are several small islands of sand and coral rubble, known as motus. 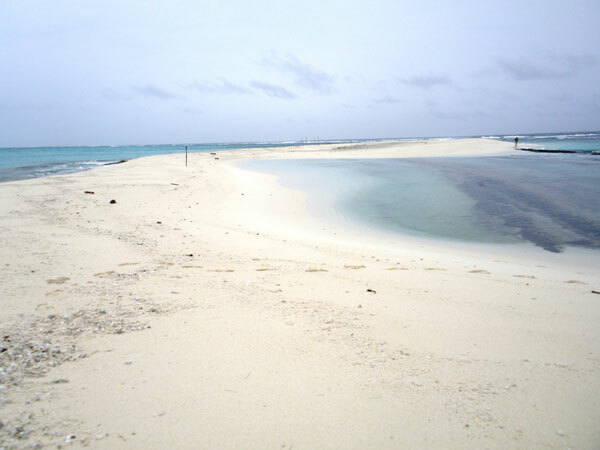 Most motus are quite well vegetated, but one small example at Tubuai is completely bare and composed of a white coral sand beach. Called Motu One (pronounced O-nay), it is barely 250m long and 50m wide and is located on the reef crest on the north side of Tubuai. 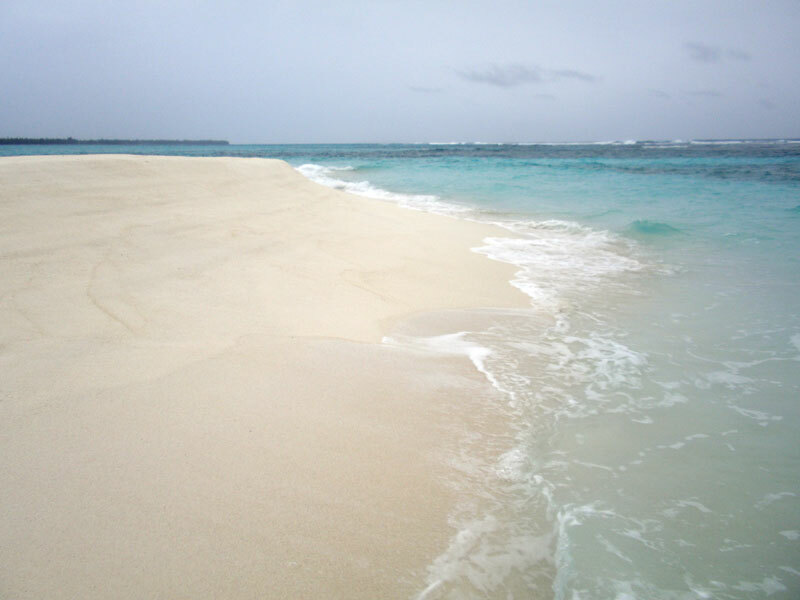 The fact that such a small and isolated pile of sand survives even hurricanes is a perfect illustration of the ability of natural beaches to adapt to changing conditions…. On its seaward edge, Motu One has a ridge of beachrock which encloses a small lagoon. There are also a few small patches of beachrock on the lagoon side of the motu. 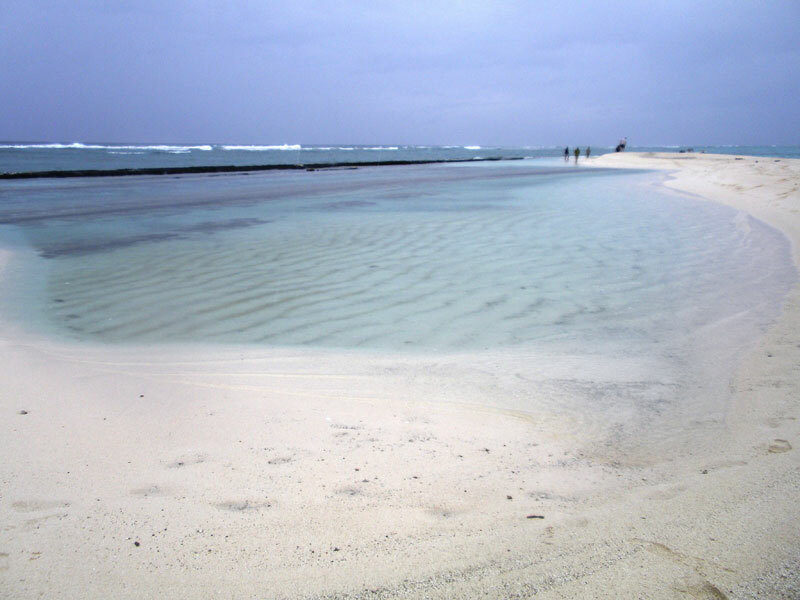 The motu is affected by ocean waves on the north side and lagoon waves on the south and so water flows into the enclosed lagoon from both sides. The seaward-facing beach is very steep but it is sheltered from the direct effect of ocean waves by the reef platform that absorbs a lot of the incoming wave energy. 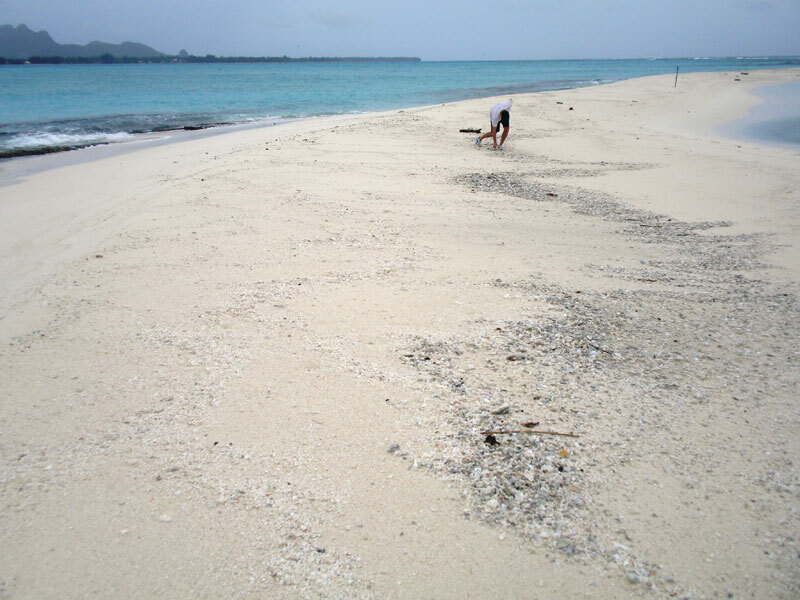 On the lagoon side, waves are less energetic but they are still able to carry sand and shells onto the beach surface. The motu has changed shape several times but is anchored by the beachrock that helps keep it in place. 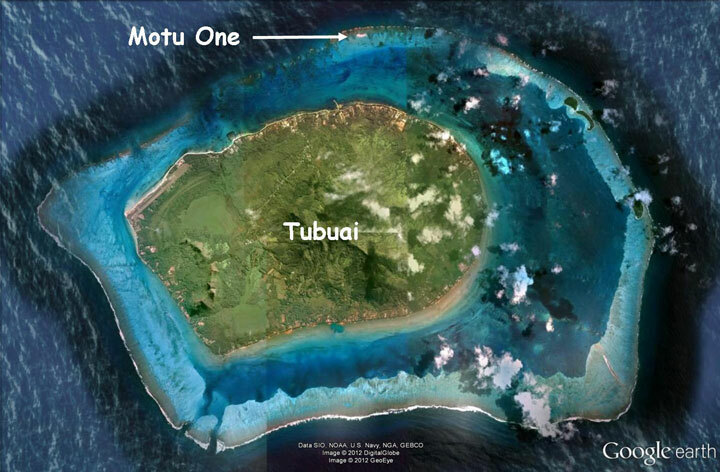 Motu One survived Hurricane Oli in 2011, which caused much damage on adjacent Motus and beaches on mainland Tubuai. The fact that such a small and isolated pile of sand survives even hurricanes is a perfect illustration of the ability of natural beaches to adapt to changing conditions. 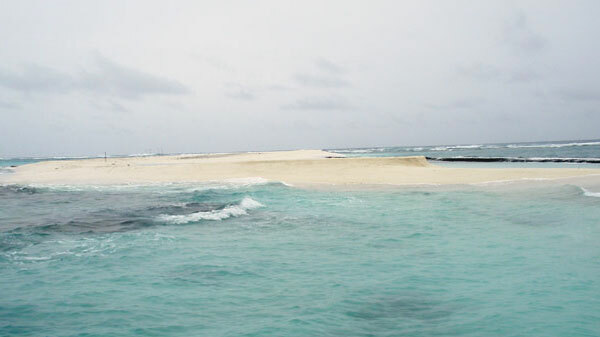 The accompanying photos (supra) show the motu sitting on the reef crest, the beachrock ridge on its seaward side and the small lagoon that it encloses. The steep slope on the seaward-facing beach contrasts with the more gentle slope of the beach on the island side.